Star Citizen has been in development for six years and it still doesn't have a release date - but the money keeps flooding on in. The space PC game, which has so far raised nearly $200m, recently held CitizenCon, a gathering of fans and developers for all things Star Citizen. Off the back of that, the release of a new update, a flashy new trailer and the sale of some new spaceships, developer Cloud Imperium Games saw $379,254 flow into its coffers in just one day. The following day, on the 11th October, CIG brought in around $320,000. And yesterday, 12th October, around $200,000 came in. Based on this trajectory, by the end of this week, around $1m will have been made. This marks a giant jump in revenue for the Star Citizen norm. Each day this week prior to the 10th, the game pulled in around $21,000. One of the things that's unique about Star Citizen is it makes public its revenue, which it's still calling crowdfunding, on its website, so you can see how much money is being made on a monthly, weekly, daily and even hourly basis. Star Citizen makes the bulk of its money from the sale of virtual spaceships, some of which you can fly now, some you can't. At CitizenCon, CIG released a new spaceship available for a limited time only. The Valkyrie 2948 Liberator edition is only available until 14th October, and it costs £264. There's a bundle with the ship and a raft of extras, including lifetime insurance, for £536. "The Valkyrie 2948 Liberator edition is only available until 14th October, and it costs £264. There's a bundle with the ship and a raft of extras, including lifetime insurance, for £536." LOL ahhh it's so good. Thanks for the video links BadIronTree! Why are people still throwing money at this? People are desperate for a game like this to exist. I mean EVE is still a thing. Grand scale space combat games are a underserved market. I thought about throwing money at it once or twice back in the day. SO many pricey bundles turned me off. Last edited by EL CABONG; 10-13-2018 at 02:15 PM.. This seems like a monstrous scam, unless I'm missing something. Can someone more familiar with the details of the game mechanics (Assuming there are any) explain this to me? So there's insurance you need on these things right? The ships you purchase? Hence offering lifetime insurance on the more expensive bundle. What happens if you don't have insurance though. Or limited time insurance. You don't buy the expensive bundle with lifetime insurance and you go with the $264 (more like 300 american) ship and it get's destroyed eventually? Do you...then lose something you paid $300 American dollars for? Because that would be #$^#$@ retarded. I assumed once you buy these things, you keep em for life. But the expensive bundle has lifetime insurance, implying that you could permanently wreck your purchased ship eventually. You give them gobs of money, they give you promises and a digital reach-around. Not much to get about it all, really. I like how this year's pointless convention spent more time showing off icecube physics in a drink and waiting for an empty train than it did anything that resembles a space-sim. I used to hope this game would be a fraction of what they promised. I wasn't going to spend a dime until it released, but it sounded awesome. Now, I just hope it fails as spectacularly as it appears it will. This is the crappiest pricing model ever, and if it actually turned out to be a good game that alone would ruin gaming as we know it. Last edited by BadIronTree; 10-14-2018 at 03:18 AM..
Whatever is ready we get it. So I think I'm starting to come around on this. This is actually really good progress. I played the game for the first time in a year with 3.3 alpha. Usually I last about 10-15 minutes before I close the game. I think I played for like 5-6 hours last time. Now waiting on Alpha 3.3 to get to general release backers (past the PTU). Yes, the gameplay is slow, but I had NO problems immersing myself into space. I still think the arcadey gameplay of Elite Dangerous is better, but there's no denying the detail is much greater on SC. I dunno, they're still a LONG way away, but hey, they keep pulling in money. As long as they keep working on it I'll feel my $130 isn't wasted, TOTALLY. So which flavor of Chris Roberts Kool Aid is your favorite? 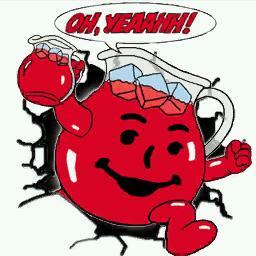 drink that koolaid little cultist om nom nom! What happens if you don't have insurance though. Or limited time insurance. There is an entire FAQ on the website if you want to read it. The short of it: you will have to rebuy your ship with in-game currency if your ship were to be destroyed if you did not have any insurance on your spaceship. This will likely change in the future (this was posted in 2013, and the most recent FAQ doesn't really go into much details about the insurance policies since all ships, at the moment, have basic insurance because the game is not officially out yet. If it is like Elite Dangerous the cost for death is a fraction of the actual cost of the ship and equipment. Painful but as long as you aren't repeatedly and foolishly dying you can recover easily enough. If it is like Eve the loss is far more punitive but during all these Star Citizen sales lifetime insurance is a huge bullet point for the extremely expensive ships as well as when they first launched their crowdfunding. If they water it down too much their main funders might be unhappy.